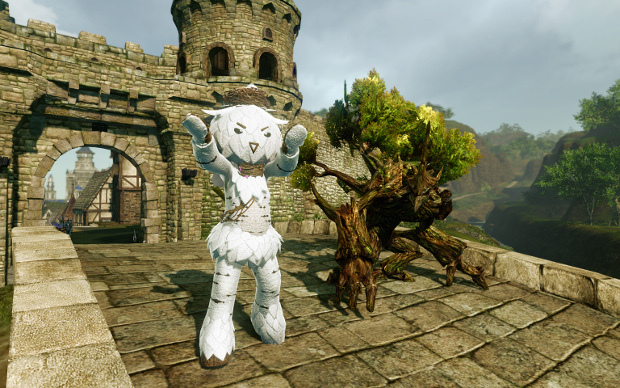 The Call of the Bloodsong event has kicked off in the free-to-play MMO Archeage. To celebrate the event, Trion is offering players a variety of rewards — whether they’re continuing players, returning, or new. Players who have played in the last 30 days will receive the “Bloodsong Loyalty Bundle,” which includes several consumable items and 175 loyalty tokens. They’ll also be given a temporary Springsong Greenman costume, a temporary Wisdom Tree combat pet, the “Mistsong Maverick” title, and an Invocation Array music box — which can be opened once per day for 14 days for more presents. Those who open the box every day will get to keep their costume and combat pet permanently. Returning players will get the “Bloodsong Homecoming Bundle.” This includes coins that can be used toward temporary Mirage weapons, armor, accessories, and vehicles. It also includes a variety of consumables, the “Mistsong Maverick” title, and the same Invocation Array music box — complete with the costume and pet deal. Other rewards — viewable on the ArcheAge blog — are also available for those who have been a patron at any time. Aside from the goodies, there will also be quests to participate in, during which players can earn more rewards. More information on the event is available on the ArcheAge site.